The Thorned Venus Mouse Trap is a Tactical type weapon. 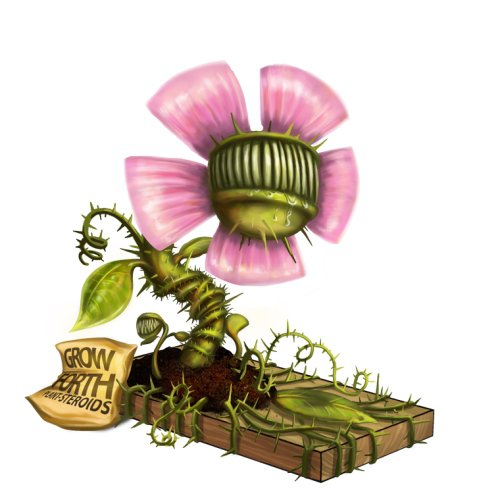 Adorned with razor-sharp thorns grown in the Jungle of Dread, this Venus Mouse Trap uses its vines to trap any mice unfortunate enough to wander near. The Thorned Venus Mouse Trap is not sold by any Trapsmith. It can only be crafted given the proper ingredients. The Thorned Venus Mouse Trap (if unintentionally smashed) can be reassembled from Thorned Venus Mouse Trap Husk. On 29 July, 2015 the point requirement for the Thorned Venus Mouse Trap was lowered from 8,000,000 to 3,200,000. Smashing this weapon with the Hunter's Hammer yields the Thorned Venus Mouse Trap Husk.